Posted May 8th, 2015 at 12:47 pm. 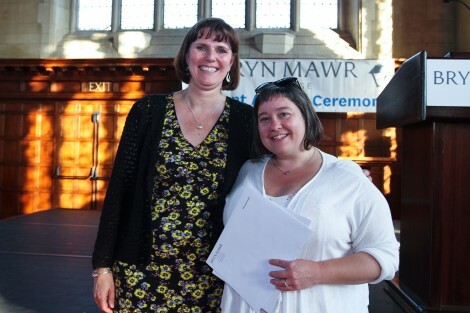 At a ceremony on Monday, May 4, President Kim Cassidy announced the winners of a host of awards given to Bryn Mawr students. The awards and scholarships cited include honors bestowed by Bryn Mawr as well as those given by outside organizations. Below is the complete list of awards and honorees. Additional awards will be presented at Convocation on Friday, May 15. Abigail Stephenson ’16 of D.C.